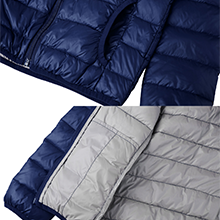 The down jacket filling with quality duck down is warm enough to match with a sweater or T-shirt in spring or autumn, also can be worn as inner layer in deep winter days. 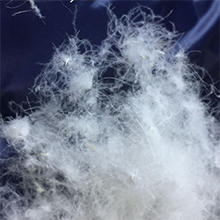 The winter jacket filling with 90% white duck down offers great warmth while not bulky in cold days. The quality fabric help to prevent heat from lossing when boys are in school or playing outside. 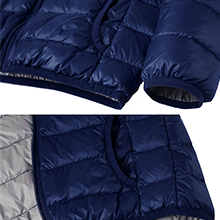 The ultra light down jacket can be packed into a small pouch for easy carrying, also can save a lot of space for wardrobe and suitcase. 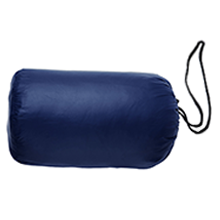 It will be a great choice for winter and everyday use. 2 external pockets with elastic seams help to keep wind out and make hands warm. 2 deep internal pockets will keep items like keys, coins, phone, card, or little toys safe. The windbreaker with full-length and center-front zipper closure with stand collar design. Quality water resistant fabric, elastic cuffs and hem works great to seal out cold air.